Senator Dave Hansen, a longtime Democratic Senator and public Servant from Green Bay, recently wrote up an op-ed for the Green Bay Press Gazette giving his opinion of the Foxconn debacle. Recent reports suggest that 47% of all jobs in the U.S. could be lost to automation in the next 20 years. Those jobs range from manufacturing to retail to the legal and medical fields and beyond. According to a CBS report, even Wall Street is expected to replace nearly 230,000 jobs in the next 8 years with machines.Whether or not these new technologies lead to new jobs that provide better pay and benefits or to large-scale unemployment, one thing is certain: this change is coming rapidly and we’re not prepared to deal with its impact.Regardless of where you stand on the Foxconn deal, their stated goal of full automation is not unique to the world we are now living in. It is time for the Legislature to take the issue of automation seriously and do what needs to be done to protect the best interests of taxpayers, our families and our workforce. Gotta love the "adults" on the right Who is this brilliant linguist? 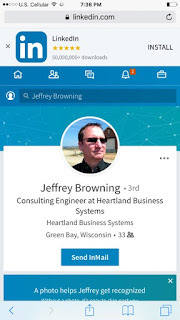 The same Heartland Business systems that has contracts with UW=Oshkosh, Racine and Eau Claire school districts among others? The same Heartland Business Systems that has complete access to emails and all computer systems of their customers. I wonder if their customers are comfortable knowing this person, so full of hate, has access to everything they think is private. 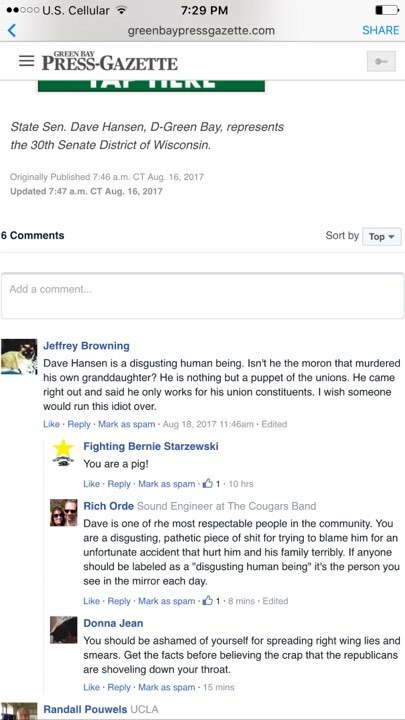 Kind of makes one wonder if the employees of HBS customers, many are liberal ( see Scott Walker video above) and how long until they get punished for a website they may, or may not have, visited and it was leaked to a hate site like Media Trackers or Right Wisconsin? A little food for thought for those of you who are vulnerable. 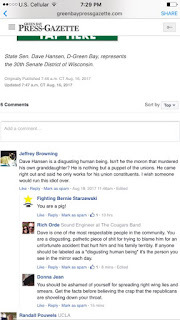 If you so choose, Here is contact information for Heartland Business systems to voice your displeasure that this person, who wishes a sitting WI Senator dead, has access to your personal and personnel files. You have me confused with the other Jeff Browning, AGAIN!